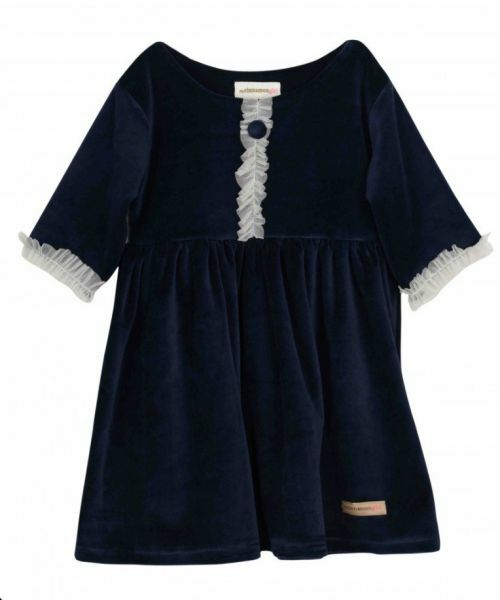 A nostalgic, sweet dress, in the softest velour fabric. Ruffled details in the front and on the sleeves in soft tulle fabric. Decorative buttons at the front.